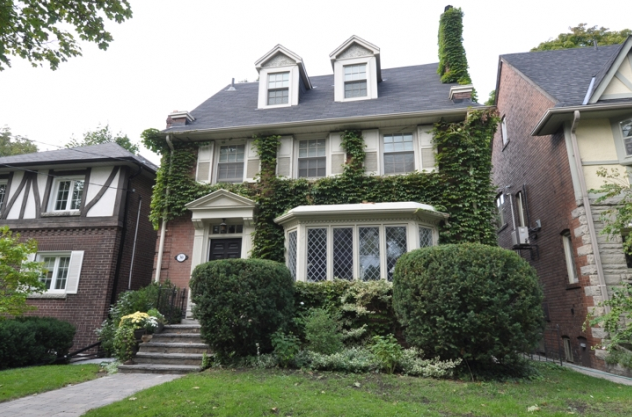 A month ago, I posted this 4+1 bedroom, 5 bathroom house with a detached garaga on a 35 x 110 foot lot at 30 Whitehall Road in north Rosedale in Toronto. It didn’t sell and came back on the market a little over a year later for $1,675,000. It sold a month later for $1,550,000. After a full renovation, it was back on the market last month. The asking price was $3,898,000. While I liked the reno for the most part, I wished that they had removed that ‘servery’ wall with the microwave and coffee maker so that you could access the kitchen without going through the living room and dining room. And for the street (it’s busy and backs onto a train track), I thought the price was a little high. I still think that might be a little tough.